Yesterday evening, we went to the Fall Art Show. So many beautiful pieces. I love that my kids have had amazing art teachers. Although neither of them are thinking of a career in the arts just yet, art is feeding their soul. I hope they make art throughout their lives. 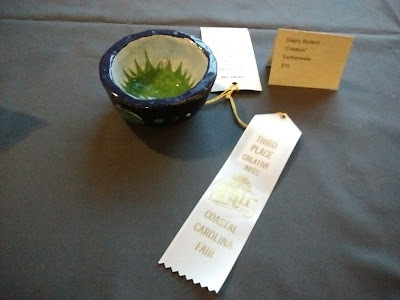 Dagny's bowl won third place at the Coastal Carolina Fair. 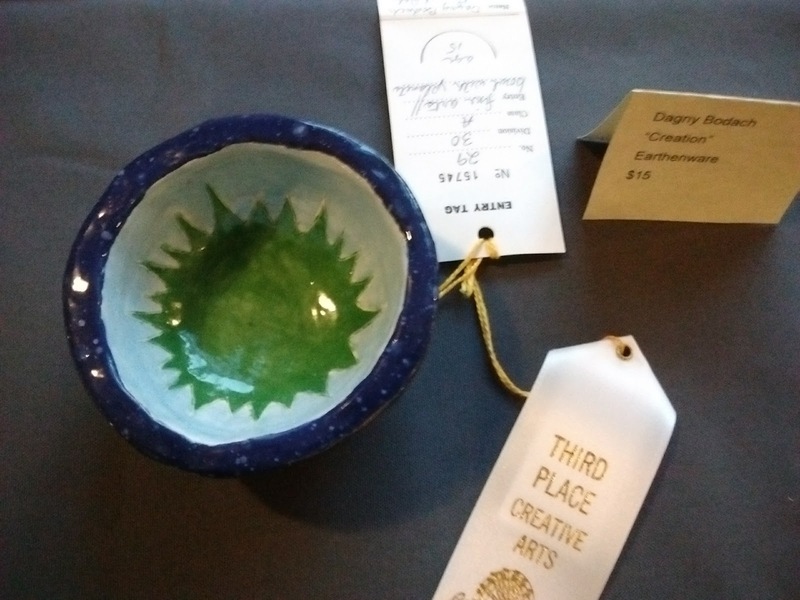 I believe her friend, Angelica, won first place!!! 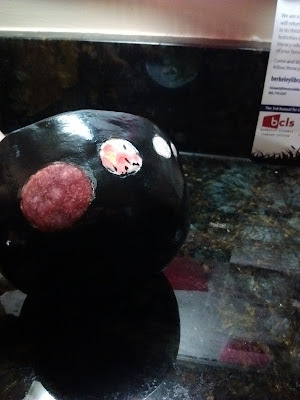 So the bowl -- inspired by Genesis. 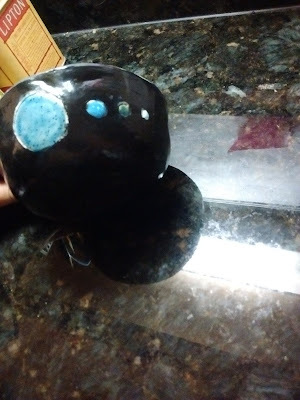 The outside of the bowl has planets. Inside is the earth. 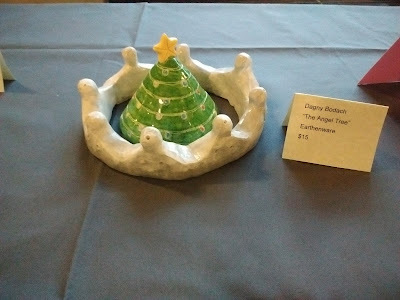 Angel tree is still a work-in-progress. Those angels need halos and wings :) Love the cute Christmas tree. Perfect for the holidays!!! What a nice job. Brava, Dagny! How I miss the days when I collected my kids artwork... Still some of the most expressive wonderful stuff I've got. Beautiful pieces! Congrats to your kiddo. Mirka, I love that my walls have the kids' artwork. Barb, it looks like it but when I asked her, she said, she just painted random planets, not just our solar system.